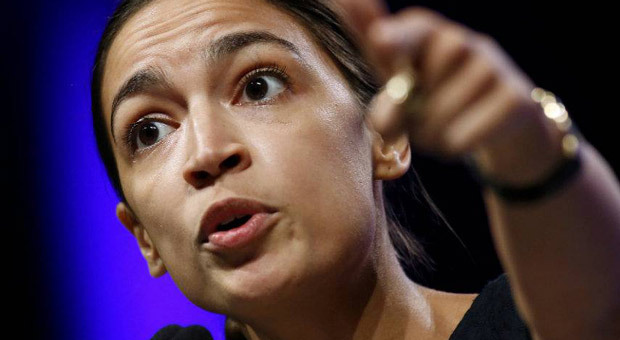 Progressive Democrat Alexandria Ocasio-Cortez has claimed that there is a vast "far-right" conspiracy working to destroy her, according to reports. The socialist congresswoman said there is a "dark-money internet operation" and a cable news "propaganda machine," working to take her down. Ocasio-Cortez's tinfoil hat theory suggests that the alleged culprits are "dedicated to maligning" her as well as "stoking national division." Earlier this month, the congresswoman refused to let go of her negative poll results, accusing her critics of "bigotry." 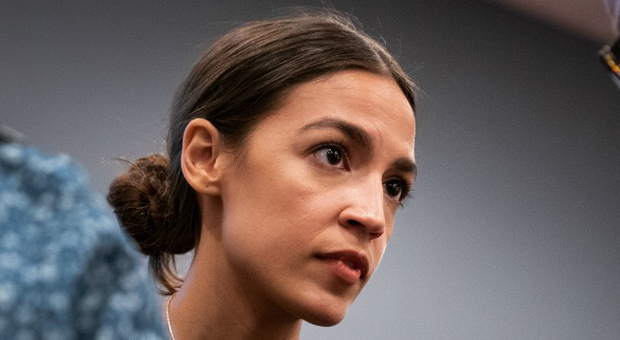 The results of a recent Gallup poll were released two weeks ago showing a rising "unfavorable" results among American voters for the Democratic socialist, suggesting that the more US citizens learn about Ocasio-Cortez, the less they like her. Left-leaning Vox wrote a piece seemingly joining her narrative: "Conservative media’s war on AOC is hammering her poll numbers." 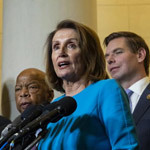 "A Quinnipiac poll released on Thursday morning found that 23 percent of Americans had a favorable view of the member of Congress, while 36 percent had an unfavorable view — a -13 overall approval rating," Vox wrote. "This new poll isn’t a one-off finding. 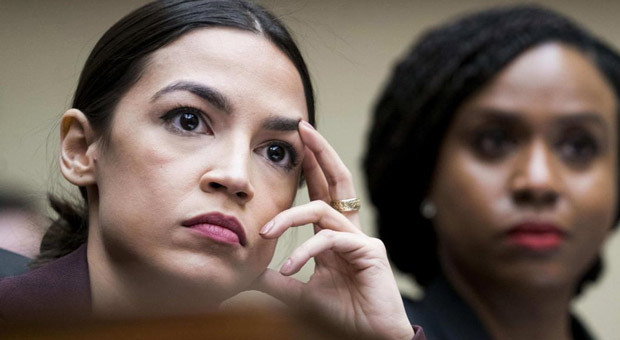 Three prior surveys — one in January from Morning Consult, one in February from Fox, and a third in mid-March from Gallup — all found that more Americans had negative views of AOC than had positive ones." Ocasio-Cortez (D-NY) did not react well to her humiliating defeat of her "Green New Deal" on the Senate floor after it didn't receive a single "yes" vote. Senators from both sides rejected Ocasio-Cortez's manifesto for socialism and tackling "Climate Change." "It’s almost as though there is a directed + concerted far-right propaganda machine with a whole cable news channel, and a dark-money internet operation propped up by the Mercers et al dedicated to maligning me & stoking nat’l division, reported on by @JaneMayerNYer or something," Ocasio-Cortez tweeted. The radical Democrats' Green New Deal has been ripped apart over the last few weeks. 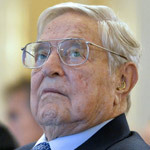 A report from the American Action Forum (AAF) claimed the deal would end up costing $93 trillion over a decade. Earlier this month, the congresswoman refused to let go of her negative poll results, accusing her critics of 'bigotry. 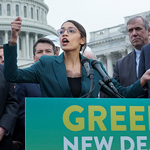 The figure estimates that each American household would pay $36,100 to $65,300 per year to meet the Green New Deal’s goals, the AAF report claims. The deals goals include “net-zero” emissions, guaranteed jobs, universal health care, widespread high-speed rail and upgrading every building. But back on to conspiracy theories. Earlier in March, Ocasio-Cortez sent out a desperate email to her supporters claiming an influential Jewish group was “coming after” her and her allies Ilhan Omar and Rashida Tlaib. 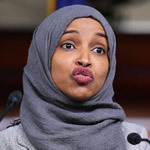 She claimed the American Israel Public Affairs Committee (AIPAC) was trying to single out the liberal lawmakers for Omar's recent remarks on questioning the United States relationship with Israel. 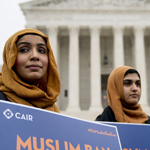 “It’s official – AIPAC is coming after Alexandria, Ilhan and Rashida,” the email read. “Rashida, Ilhan, and Alexandria have at times dared to question our foreign policy, and the influence of money in our political system. And now, lobbying groups across the board are working to punish them for it." Are the Democrats becoming conspiracy theorists?